Aperitif: More a culinary term than a specific beverage. We use the word in English in almost exactly the same way as its original in French — they differ by only an accent mark, with the French spelling apéritif. The Concise Oxford Dictionary says it is an “alcoholic drink as appetizer,” reflecting the word’s ultimate Latin origin in aperire, to open. In European use such a beverage was thought to “open” the digestive system and stimulate the appetite for an imminent meal. Who am I to argue with that? At their rise of popularity in the early- to mid-20th century, most featured aperitifs were one or another of existing dry white wine styles including brut sparkling wine, fino and manzanilla Sherry, Mösel up to a harvest sugar level of Spätlese (second from lowest among six German gradations), and Chablis. Other wine-based beverages have joined the aperitif application over the years, including a number of them that are flavored with herbs, fortified with additional alcohol, or both. The Oxford Companion to Wine notes that Catalan alchemist Arnaldus de Villanova (Arnaud de Villeneuve) received a patent from the king in 1299 for the distillation of wine alcohol and its use to stop fermentation to make sweet, fortified wine. In 17th century London, Samuel Pepys made a reference to “a glass of wormwood wine.” He was referring to the tonic that got its name from wormwood, Wermuth in German. Infused into wine, sometimes fortified and sometimes sweetened, the bitter Wermuth gave us Vermutwein and ultimately the drink we now call vermouth. Some famous aperitifs contain no wine at all and are legally classified as liqueurs. In 1851, Gaspari Campari developed the well-known Italian aperitif that bears his name. It is made from alcohol and water, infused with herbs and fruit. Another famous Italian aperitif is Aperol, originated in 1919 by the Barbieri Company but now a Campari product as well. It is notable for its use in a popular cocktail, the Aperol Spritz. Cocktails of this kind can themselves be used in an aperitif role to stimulate the appetite. Among all these choices, I find the infused and fortified wines to be most fun to make as aperitifs at home. I always start with one of my homemade dry wines and then build the aperitif from there. It makes me feel like I have accomplished dual DIY goals when I use a homemade beverage to make another homemade beverage! (I also put homemade wine in the meat mixture when I make salami, but that’s another story.) Commercially, producers of fortified aperitif wines are faced with a number of legal restrictions. Depending on jurisdiction, they are often required to meet a level of at least 18% alcohol by volume (ABV) and no more than 24%. Further, when making an alcohol addition, they must use a distilled spirit derived from the same general source as the base wine they are modifying. That is, grape wines need to be fortified with grape alcohol. Although producers sometimes refer to this addition as “brandy,” it is more likely to be a clear high-proof product known as grape spirits. 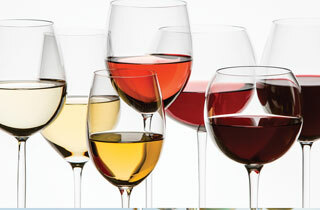 For use in fortification, bonded wineries can purchase grape spirits distilled at levels as high as 190 proof (95% ABV). For home winemakers, that spirit can be difficult to find. It may even be illegal for home winemakers to add high-proof spirits to wine and if you face that condition you may need to add sugar (chaptalize) the original fermentation to achieve a sufficient alcohol level in your finished aperitif. Fruits, herbs, and spices should be aged for about a week in a dark place in slightly more spirit than you plan to use to make your fortified wine. Fortunately, there are commercial alternative spirits for sale. While you could use brandy, typically 80 proof (40% ABV), it will add the aroma, flavor, and brown color that come from aging in an oak barrel. Grape spirits can be used for a more neutral addition. You may be able to find products such as Cîroc vodka made from French grapes and selling for about $30 a bottle or JCB Vodka from Jean-Charles Boisset and made from Burgundy wine grapes, selling for about $130 a bottle. Both are 80 proof, meaning you add a considerable amount of water when you make your fortification. And while I very much enjoyed a recent opportunity to taste several of the excellent JCB spirits at the Spirited Magazine trade tasting and show in Santa Rosa, California, I doubt that I will be putting such a premium product into my homemade aperitifs. Instead, I forego the “grapes with grapes” rule and use grain neutral spirits instead. Brands like Everclear and Diesel are available in various states at 151, 153, or 190 proof, meaning much less added water when you fortify. These beverages are about $20 a bottle, so a relative bargain for a home project. If you use one of these, keep in mind that ethanol at this level is highly flammable! When I make an aperitif wine, I first choose the style that I want to achieve. In the October-November 2014 WineMaker I described a dry vermouth that I made (among other fortified wines). For my most recent projects, I decided to try a sweet vermouth based on Pinot Noir and an entirely original cranberry-Viognier aperitif. For any such project, the first practical step is determining the alcohol level of the base wine so you can calculate the amount of spirits needed to fortify to your desired end ABV. You can have your wine analyzed at a wine testing laboratory, as I did for these projects, or you can estimate your wine’s ABV based on harvest data. If you finish fermenting the base wine completely dry, you can multiply the starting Brix number by a factor of 0.55 to get a very close approximation of the final alcohol. This is the method I used in my dry vermouth project a few years ago, yielding an estimate of 12% ABV. The other data points you must have in hand are the ABV of the spirit you will use (for that project it was Diesel grain neutral spirits at 153 proof or 76.5%), the desired final alcohol level for your aperitif (I chose 18%), and the volume of your batch (I made 1 gallon/4 L). My method is to make these calculations, infuse my fruits, herbs, or spices in a bit more than the necessary amount of distilled spirits, then run that infusion through a paper coffee filter. At that point, I can assemble my blend. I leave it for a week or two to verify stability. The blended product may need to be cold stabilized (by holding it in the refrigerator for a week or two) or fined or filtered. Finally, I do back sweetening trials, sweeten, and bottle. For the most recent projects we took one more step and made some experimental cocktails with the new aperitifs. Calculating for one gallon as in the first example, 2.02 oz./part can round off again to 2 oz. per part. That yields 5.6 oz. (166 mL) infused spirits to be blended with 121 oz (3.6 L) Pinot Noir. To allow for a small loss upon filtration, I used 8 oz. (237 mL) of Diesel in a Mason jar. After soaking these ingredients in the dark for a week, I ran the infusion through a coffee filter and made the blend. The resulting aperitif remained very clear, so I neither fined nor filtered it. Since Charlotte and Pete live in Hawaii and I live in California, I bottled a 750 mL bottle unsweetened and took it with me for trials. To cover the range of likely sweetnesses, I added sugar to separate 100 mL samples at 4%, 8%, and 12%, along with an unsweetened control sample. Enticing aromas of Christmas baked goods and sweet vanilla rose from the control, but the lack of sugar allowed the bitterness to dominate the flavor to an unpleasant extent. Both 4% and 8% were pleasant, aromatic, and fairly well balanced. At 12%, it was too sweet, with suppressed aromas and what Pete called “cough syrup” flavors. We did a spontaneous pour-together of the 4% and 8%, liked it, and settled on 6% for the final product. It retained the delightful spice and vanilla aromas while sweetness balanced the bitter flavors beautifully. After a week of infusing, I filtered the deep red spirits blend and mixed it with the Viognier. The resulting aperitif was pale pink, fruity, and slightly bitter. It also had a nice aromatic brightness with the citrus peel notes coming through. With much lower bitterness than in the vermouth, I set up sweetening trials at 2%, 4%, and 6%. Everyone found the unsweetened control unpleasantly bitter and the 6% too sweet and candy-like. Some of my four test subjects (my wife Marty White, along with Pete and Charlotte) preferred 2% and others 4%, so we compromised on 3%. Sweetening the remainder to that level, we set out on the aperitif cocktail quest (see recipes below). Measure vermouth and whiskey into an old-fashioned glass and stir. Fill with ice. Top with bitters and garnish with orange slice. We found the fresh, sweet orange aroma made a very pleasing balance with the spiciness of the vermouth. The whiskey was also nicely complemented by the spices. The first cocktail made with the cranberry Viognier aperitif is my homage to the Aperol Spritz that started me down this path. We named it The Ocean Spritz. Pour over ice in an old-fashioned glass and garnish with a maraschino cherry. We found this cocktail light and refreshing. It was gently fruity with good balance. It resembled other sparkling wine cocktails like Aperol Spritz itself or a Kir Royale. For this one, we were experimenting with adding herbaceous notes from gin and bitters while still keeping the fruit from the aperitif and some lemon juice, creating the Sunken Sailor. Combine with ice in a cocktail shaker. Shake and strain into a stemmed cocktail glass; garnish with a lemon peel twist. We found the tart lemon gave this cocktail a very refreshing counterpoint and the pink aperitif made it seem a bit like an adult pink lemonade. Very distinctive and unusual flavors, unlike any other cocktail any of us had tasted.